Clinical Negligence - Waring + Co.
Have you been a victim of injury caused by clinical negligence? We at Waring & Co have the experience and skills to assist you in fighting for justice and the compensation you deserve. Medical negligence occurs whenever the treatment provided to you by a medical professional, such as a doctor, nurse or dentist falls below a reasonably acceptable standard. The medical profession exists to provide treatment and do so for the most part without mis-hap, but occasionally accidents occur. If you suffer injury as a result, you may be entitled to compensation. Our specialist clinical negligence team have many years of experience and have recovered many millions of pounds in compensation on behalf of clients who have been victims of injury arising from clinical negligence. We act on a no win / no fee basis. 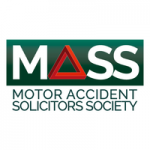 We are members of the Association of Personal Injury Lawyers. Telephone us 24/7 on 0800 195 7528 for a free, confidential initial consultation. Our Polish speaking team specialise exclusively in personal injury claims and accidents at work for the Polish speaking community, not just locally but across England and Wales.